This phrase is pretty significant for Ross Kelliher because it’s the reason her family originally moved to Midland instead of Odessa in the ‘90s. 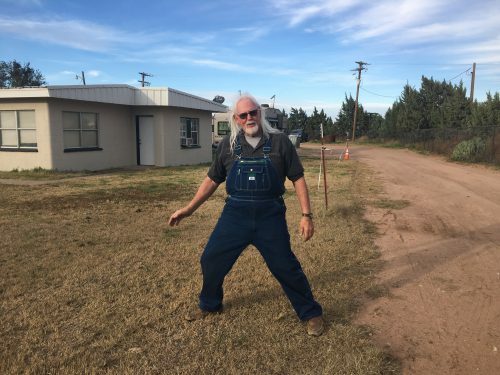 So we dispatched Marfa Public Radio’s Mitch Borden to find out if there’s any truth to the local saying or is it just talk. So, let’s cut to the chase. How accurate is the saying, “for every bar in Odessa there’s a church in Midland?” That’s easy, it’s not. There are bars and churches in both communities. It does bring up another question, why would anyone ever think this? That takes us to David Ferris’ front yard where, in crisp overalls, he has he feet planted in Midland and Ector County. The Midland/Ector county line is at the heart of this story because for decades Midlanders had to travel across it to legally buy alcohol. Ferris points to his garage, about 100 feet away from us. It’s not much to look at now, but people once flocked to this building because it used to be a liquor store. After the U.S. made it legal to purchase alcohol again in 1933, Midland chose to keep it illegal. 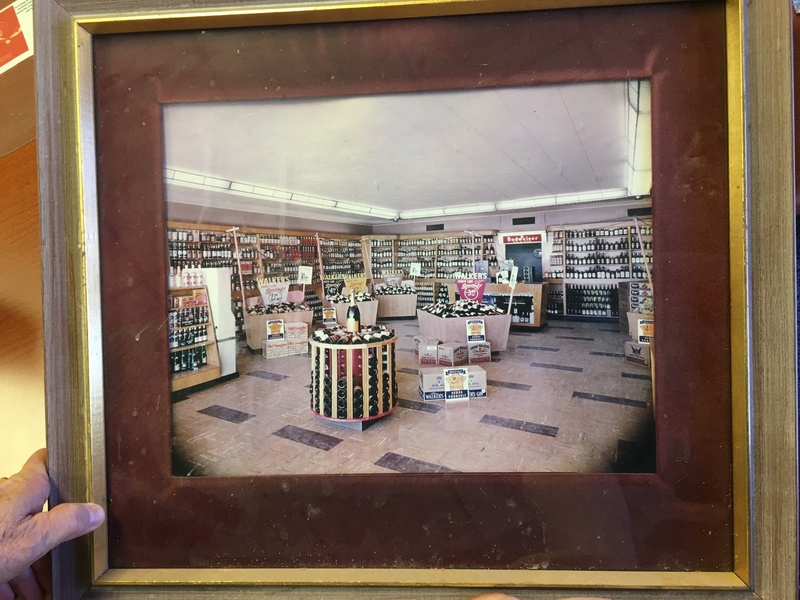 It wasn’t until about 40 years later, in 1971, that liquor and other spirits could be sold in Midland County. For years after this, David Ferris remembers Odessa was still the place to drink and get rowdy. Ferris owns what used to be a Pinkies Liquor, but now he uses it as a garage. Odessa had a reputation that it was a place to go and raise hell. This idea may not be as prevalent now, but its roots can be traced back to when oil was first discovered, and how both cities adapted to it. A hotel and an office building. That’s what sealed Midland’s fate as the corporate hub of the Permian Basin. 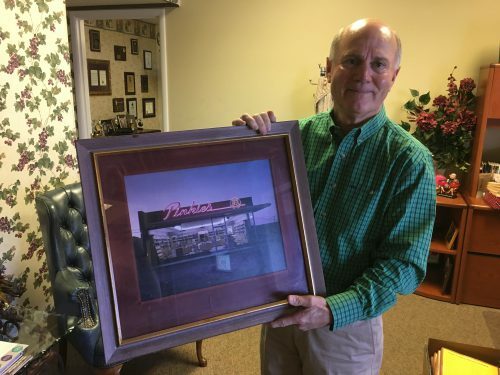 Davids-Hinton says these two buildings made the city a magnet for businesses once oil was struck because there was already a place to work and a place to stay. So white collar workers, like executives, and their families started moving to town. Having a direct route to the oil patch made Odessa a center for roughnecks and other workers, which is why it became known as a blue-collar community. It also made the city’s population pretty transient. For decades families would stream in and out of town, says Davids Hinton, because people who actually worked in the fields, had to bounce from place to place to follow the oil. Less so than the executives in Midland. At this point in history, Midland County is becoming increasingly white collar, and it’s dry. Meanwhile, Ector County is growing to be more blue collar and it’s wet. It’s part of how the reputations of each community developed. That brings us back to the original phrase: “for every bar in Odessa, there’s a church in Midland.” How true is that second part? Davids Hinton says, “It’s not that Odessa didn’t have church congregations. It sure did.” But she explains Midland probably had more churches than Odessa at a certain point in the past because it had a more settled population that made more money. Historically, that made it easier for churches to open, and stay open, in Midland. Eventually, the population in Odessa stabilized and in 2010, Ector County actually had 19 more congregations than Midland according to the Association of Religion Data Archives. Today, the booming industry in the Permian Basin is causing Midland and Odessa to grow towards each other. Some believe the two cities will eventually become one metroplex, like the Dallas-Fort Worth area. Nowadays, both cities have plenty of churches, and places to buy alcohol. And, one more fact that could put this West Texas Wonders question to rest. Midland has more bars than Odessa. 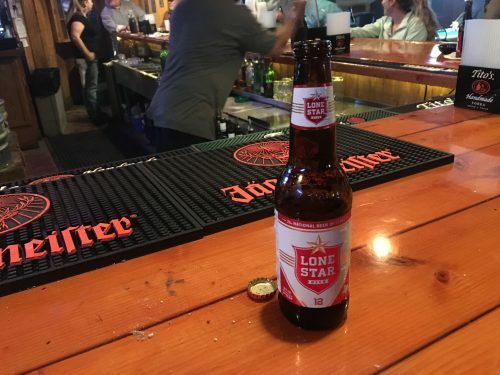 According to the Texas Alcohol Beverage Commision, Midland County has 108 places that serve alcohol — twelve more than Ector County. This entry was posted in and tagged Alcohol, Bars, Churches, Midland, Odessa, Prohibition, West Texas Wonders. Bookmark the permalink. 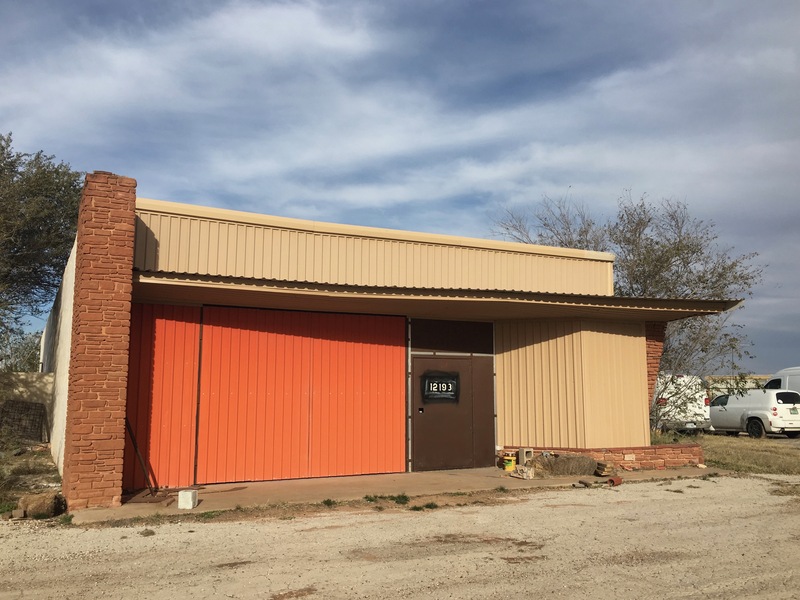 West Texas Wonders is a storytelling initiative from Marfa Public Radio that invites you to take part in the stories we cover. Visit marfapublicradio.org/curious for more information.